This lively seafront hotel is the ideal choice for anyone and also offers the convenient option of all-Inclusive holiday – perfect for families. 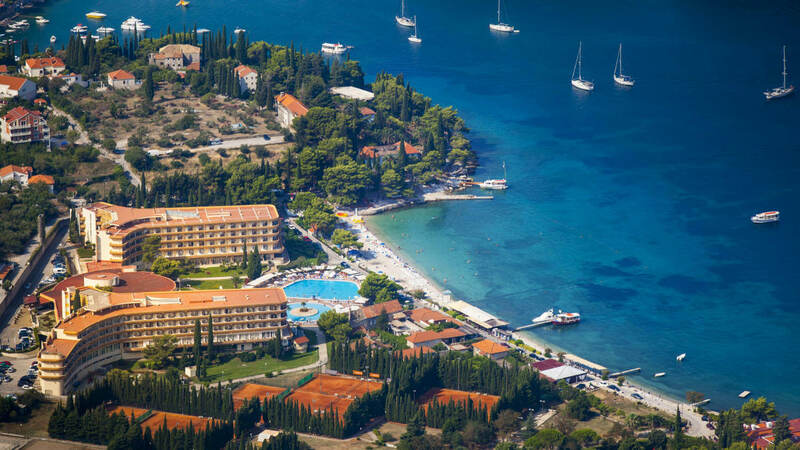 Set right on the seafront in the beautiful resort area of Mlini-Cavtat, surrounded by attractive parkland, this hotel is the perfect spot for combining seaside relaxation with sightseeing. It has its own attractive pools and is close to the resort’s pebble beach and offers a range of amenities. 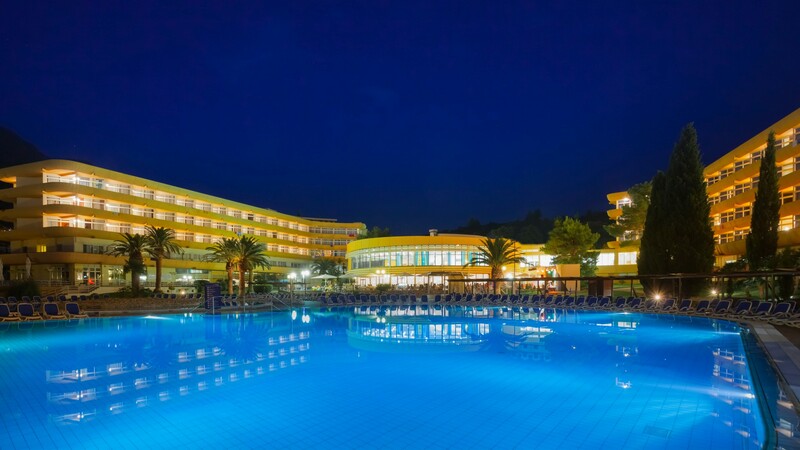 This is a lively hotel with a programme of activities and entertainment for adults and children (from 4-18 years), including evening entertainment in season to suit guests of all ages. 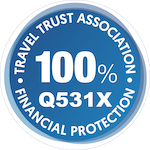 The price of your holiday includes breakfast, lunch and dinner served as an open buffet, afternoon coffee and cakes and tea, coffee, milk, soft drinks and local wines and beer served at specified outlets between set times. Alcoholic drinks are served from 10 am to 11pm. en suite shower and WC with hairdryer. Some rooms have a balcony with sea views. shades and loungers on public beach nearby. 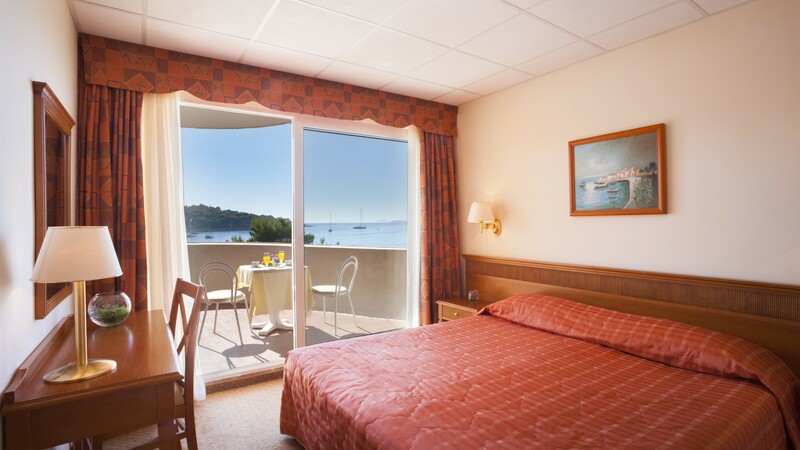 The sleepy resort of Cavtat is set in a picturesque bay less than 10 miles from Dubrovnik - it is the ideal choice for those who want to make the most of the beautiful sunny climate and combine sightseeing with relaxation. Cavtat sits dreamily on the southern shores of the Rat peninsula, looking across the bay to the wooded peninsula of Sustjepan. Traditional stone houses with their red roofs emerge from cypress and pine trees surveying the clear waters of the Adriatic. The seafront promenade, which is free from cars during the summer months, is shaded by mature palm trees. Here you will find a number of laid-back bars and restaurants, which line the waterfront, where you can enjoy everything from pizza to local Dalmatian specialities and freshly-caught fish.